As Delaine Buses expands their fleet and takes delivery of a new single deck Wrightbus bodied B8RLE vehicle we bring news of their forthcoming running day on Saturday 29th September. The new 205 service replaces service 9 run by Centrebus and commences the day after service 9 ceases. 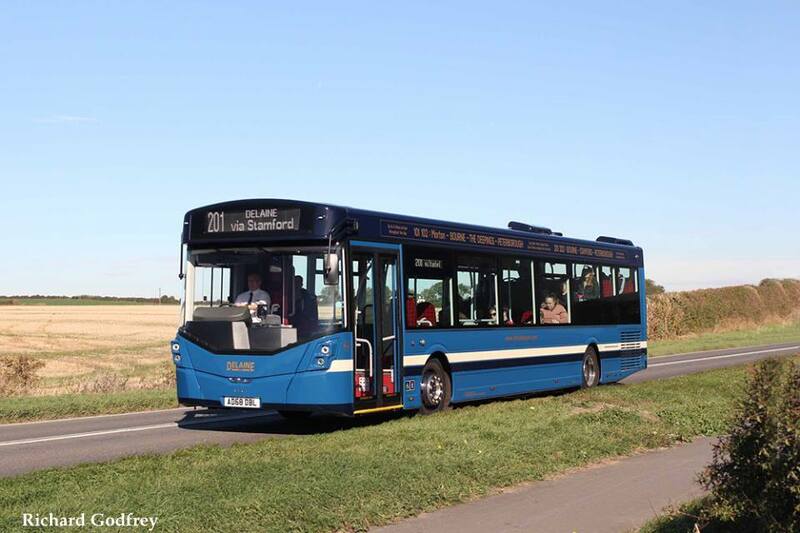 The origins of Delaine Buses of Bourne Lincolnshire can be traced back to 1890 when the family introduced horse-drawn vehicles to cater for local people wishing to travel to markets throughout the surrounding area. The first motor bus was introduced in 1919 and daily services from Bourne to Peterborough, Stamford, Spalding and Grantham were all established by 1923. Today the fleet of 29 buses is operated by the fifth and sixth generation's of the Delaine-Smith family and the company ethos of quality, continuity and reliability is as important today as its always been. The core business is still based around some of the original services, which have been developed and tailored, using a careful blend of tradition and acting on current market demands. 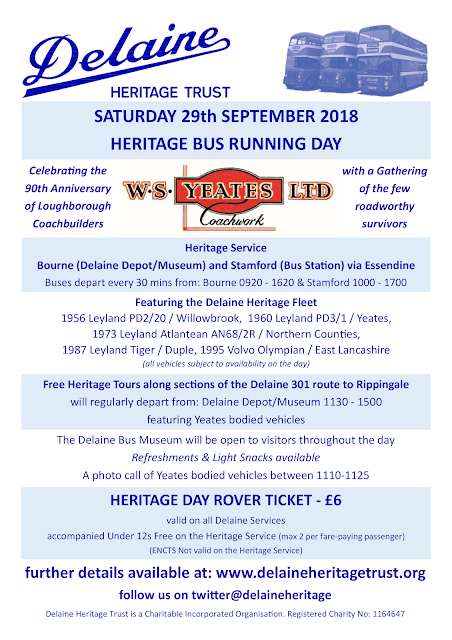 The Delaine Heritage fleet will be on show and operating at the forthcoming Running Day. Also to celebrate the 90th Anniversary of Yeates Coach Builders a photo call of Yeates bodied vehicles will take place at 11.10.